Chennai: Thanks to dominating performance by the spinners on a slow track, defending champions Chennai Super Kings (CSK) started their title defence in style winning the opening match of Indian Premier League T-20 cricket tournament against Royal Challengers Bangalore (RCB) by seven wickets here on Saturday night. After spinners Harbhajan Singh, Imran Tahir and Ravindra Jadeja spelt doom sharing eight wickets among them (conceding 44 runs in 12 overs) after RCB was asked to bat first, the CSK batsmen, mixed caution with aggression, before romping home in the 12th edition’s pipe opener by scoring 71 for three in 17.4 overs in a tense but close chase. The target of RCB’s 70 all out by RCB might be sixth lowest in IPL, but in fact turned out to be quite a challenging for CSK, which huffed and puffed before overcoming it to start its campaign on a winning note. It was not a good chase early for the home team, as Shane Watson fell early and Suresh Raina, who became the first batsman to score 5,000 runs in IPL, and Ambati Rayudu falling quickly, Kedhar Jadhav and Ravindra Jadeja, who picked two wickets earlier, guided the team home as CSK romped home with just less than 14 balls to spare and crossed the finishing line. 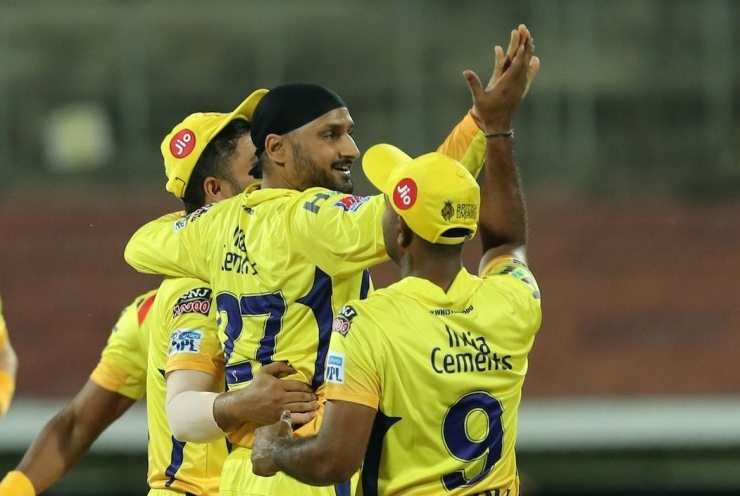 The slow chase and the low target was mainly due to the slow paced wicket, where the spinners held sway with CSK’s trio picking up eight wickets and Yuzuvendra Chahal of RCB, opening the bowling, raising hopes with a superb spell of 4-1-6-1. But Rayudu (28, 2x4, 1x6) and Raina (19, 3x4) ensured the win for CSK, before Jadhav and Jadeja came together hitting the winning runs.